I am a retired business manager for the U.S. Army (since September 2010), formerly the Business Director over several Army Defense programs such as Stinger, Avenger, JLENS, Sentinel, Directed Energy, and NLOS. In that position my staff handled the budgets, contracts, and cost estimates for those programs at Redstone Arsenal. I am also Author of Shadow of The Conjurer, a new release from The Ardent Writer Press, currently on sale on Amazon at this link HERE. As a writer, I wanted to use my business experience from the Army as a backdrop for a Stephen King type novel blending Huntsville’s Antebellum South with its technological present. Shadow of The Conjurer resulted, a gothic fantasy of love and redemption. Shadow brings Modern Huntsville and Old Huntsville on a collision course within a supernatural thriller. I am uncertain whether such a genre with Huntsville as its backdrop has ever been published; but if it has, they haven’t combined that with elements of the Army’s presence at Redstone Arsenal. I ask that you give it a look. The prologue and first chapter is attached for a taste. “Huntsville, Alabama lies at the foot of the Appalachian Mountains. It is a city of historical contrasts, at once Antebellum South as well as a modern concourse of technical prowess, a research and development center for the U.S. Army and NASA. And here is where the McNallys call home. They are successful professionals with civilian careers on Redstone Arsenal, but their success belies a foundering marriage. Jared, an engineer, is emotionally distant. His wife, Melissa, an intellectual property lawyer, pursues an affair to fill the void left by her husband. Tipping the scales of their flimsy bond is the discovery of a journal of a young man, Jacob Thompson. In the 1830s his father owned the plantation known as Fiery Hill, the original boundary of which includes fifty acres now marking the McNally’s small homestead. Within the diary, Jacob professes a love for a slave girl named Nika, an African brought forcibly to America, not only with chains, but with a secret and dangerous legacy. That legacy is resurrected, and for unknown reasons targets the McNallys. Shadow of The Conjurer is at its heart a gothic fantasy, but it is also a love story. My eldest daughter, Stephanie, caused me to ponder that ‘rich brocade’ before I started putting ‘pen to paper’ (or computer key to finger if you like). She accurately pointed out that a supernatural story about a fictional romance between the son of plantation owner and a slave girl would not only require an accurate historical background, but that background would be rooted both in America and Africa. So I researched as I outlined. Read more before I wrote. Consequently, though numerous internet and library sources were studied, a handful of books were especially helpful. That information is included on page 2 of the Acknowledgments. You can read about them by clicking on the link on the right hand side of this webpage, but you may prefer to wait until after you have read Shadow of The Conjurer (see the SPOILER ALERT). I want to thank my family for supporting me during the time it took to write and edit the novel. Special thanks should be given to my daughter, Jennifer Jones, a design graphics artist, for lending her artistic talents to the jacket cover. Another daughter, Erin, offered a drawing of one of the scenes which is also on the spoiler page reached by clicking the red “Mande Legends” button on the right. 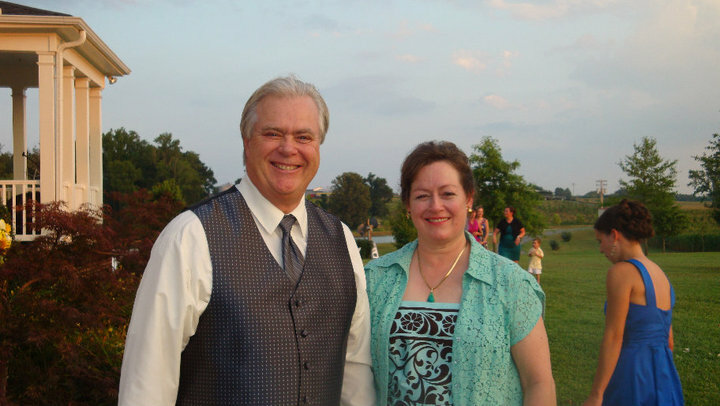 I want to thank my wife, Bonny, who spent some torturous time reading my unedited story as well as other family members who read my story and offered comments. Though next time I will spend more time on the edits before handing it to Bonny, her feedback was especially helpful in the editing process. So to Life and to Love is this book dedicated, whether Family, Friend, Spouse, or Lover. May you all feel Welcome as you read Shadow of The Conjurer. 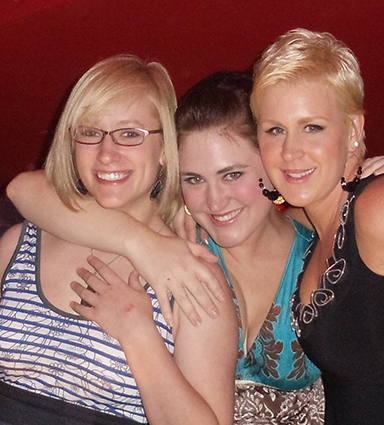 The photo on the top is of the Author’s three daughters, Erin, the youngest, a quality engineer, Jennifer Gierhart Jones of Edmond, Oklahoma, design graphics artist, in the middle of the photo and middle in age, and Stephanie Gierhart, on the right, the eldest and co-owner with her husband, Ben, of Champion Auto Hail Repair. 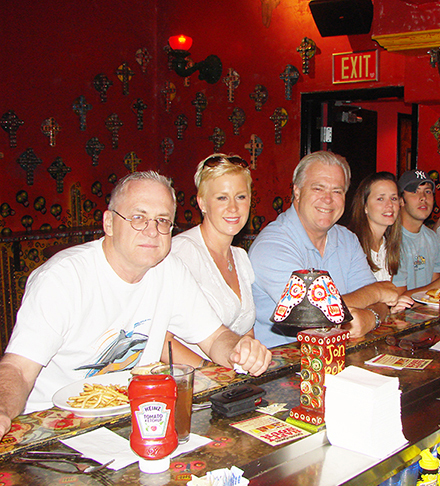 The photo was taken by Jennifer’s husband, Brent, on our family’s trip to Las Vegas in June 2010. The photo at the bottom is also from the Las Vegas trip. In addition to the Author’s daughter Stephanie, his son, Justin and his wife, Faith, are in the photo along with one of the Author’s brothers, David (far left), a pharmacist from Jenks, Oklahoma. Both Justin and Faith are public school teachers in New Market, Alabama. The Author is in the blue shirt in the middle. 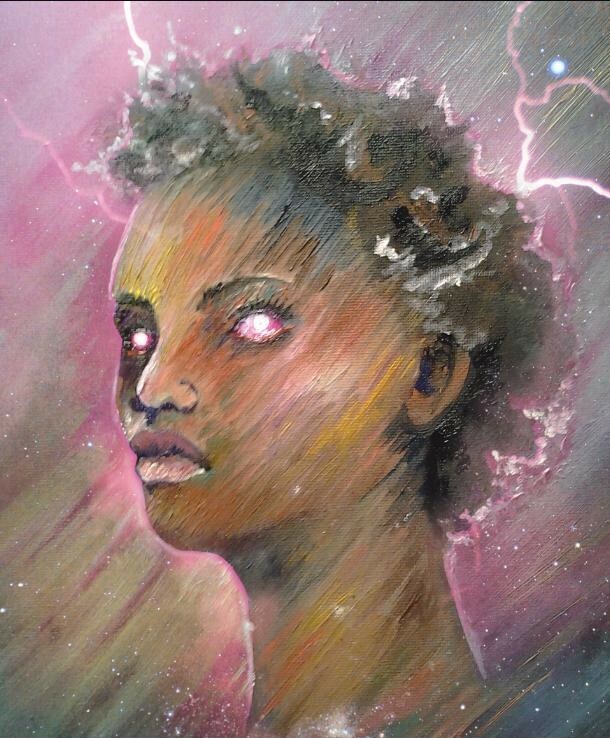 This is an image of the original oil of Nika from Shadow of The Conjurer by Jennifer Gierhart Jones of Edmond, Oklahoma. For the eerie and ghostly image on the Jacket Cover of the novel, this image was transformed with a Photoshop filter tool and then the colors were augmented to obtain the final look. 1. 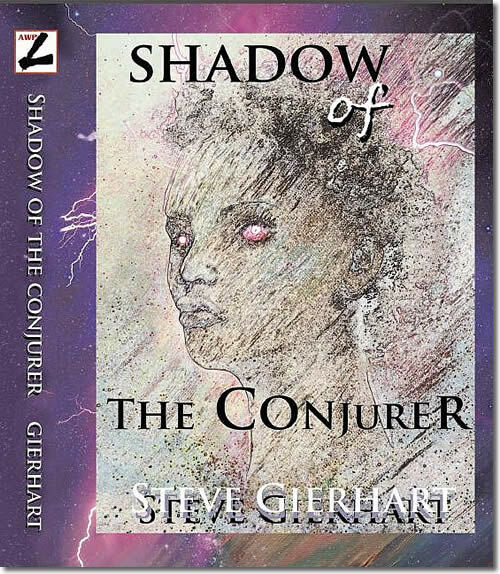 CLICK HERE to check out Steve’s Author Central Link at Amazon for more information on Shadow of The Conjurer as well as info on the author himself. 2. SPOILER ALERT! For those of you who have already purchased a copy of Shadow of The Conjurer, you may wish to see more content and background (text and images) that will give the reader a feel for some of the source materials that provided historical knowledge of slave life in the 1800s as well as insight into the Mande myths and language used by the Author to realistically set the tone and elements of Shadow of The Conjurer. DO NOT PROCEED TO THE BELOW LINK IF YOU HAVE NOT YET BOUGHT SHADOW OF THE CONJURER AND READ THE NOVEL. Below Mande Legends is the link to the Background information for Shadow of The Conjurer.